Down on Teesside last week, I’d only really planned to have a quick look around Middlesbrough while waiting for my connecting bus to Redcar. 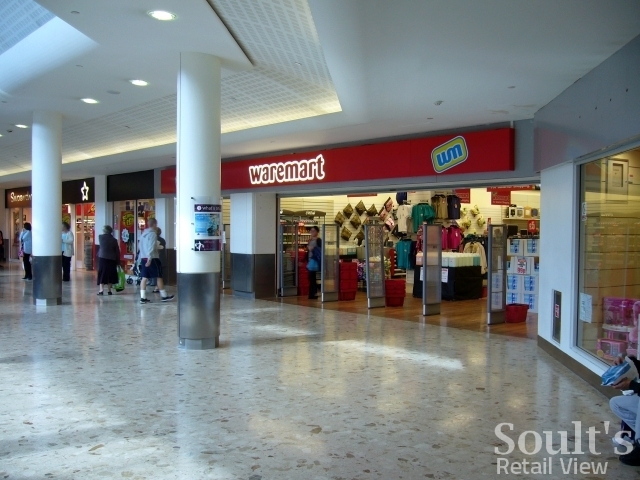 However, I was startled to notice that the ex-Woolies (and ex-Waremart) unit in the town’s Hillstreet shopping centre had acquired a new occupant – a variety store called Discount UK – which has apparently been open since 23 April. 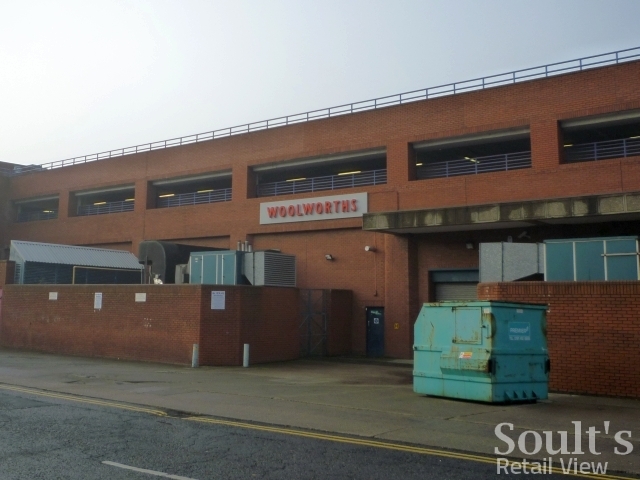 Regular readers will recall that when I first visited Middlesbrough in September 2009, the large ex-Woolworths site (store #1200) was occupied, on a short-term lease, by a discount variety retailer, Waremart. 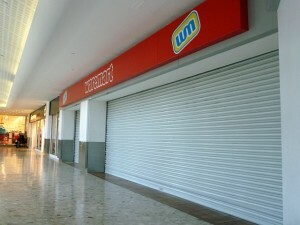 However, by January 2010 Waremart had gone, with the unit remaining empty throughout last year. 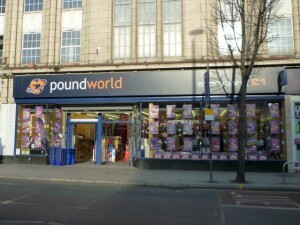 I’d never come across Discount UK before seeing it in Middlesbrough, but it seems that it’s a new multi-price fascia from Poundworld – a way, self-evidently, of allowing the single-price retailer to sell products costing more than £1, and to therefore increase the average basket size. 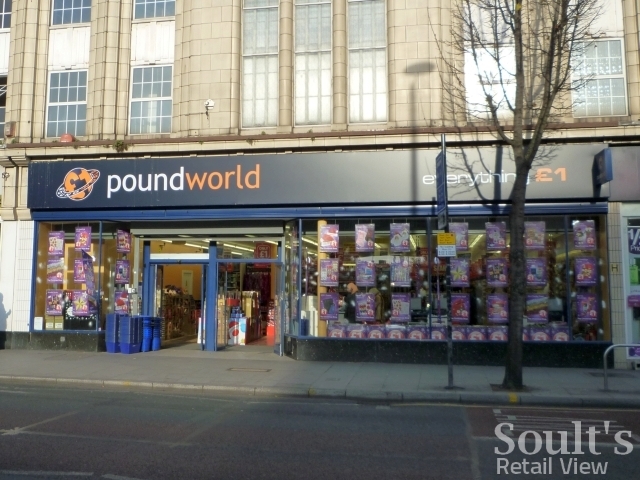 To date, Poundworld has acquired several ex-Woolies locations for its eponymous stores, including the West Ealing branch that I visited back in November. 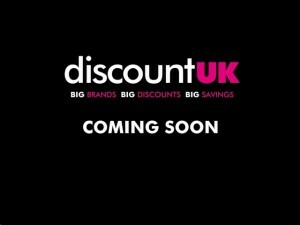 There’s no information on store locations on Discount UK’s website holding page, but from what I can gather there are also stores in Leeds and Stevenage, with another dozen planned for 2011. 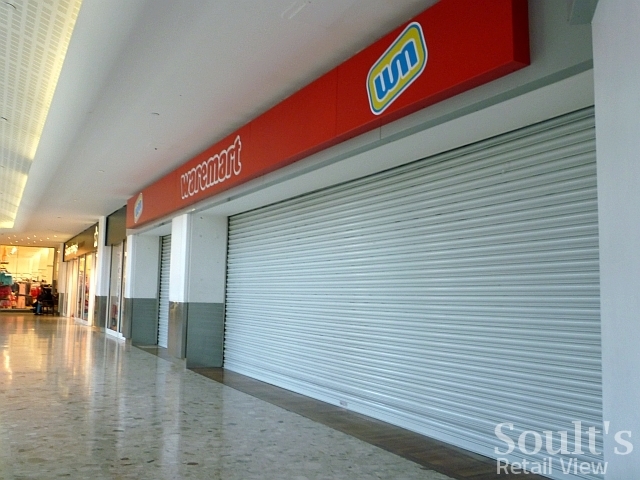 The Stevenage store, opened in January this year, is apparently housed in premises that had been empty since Littlewoods left in 2005. 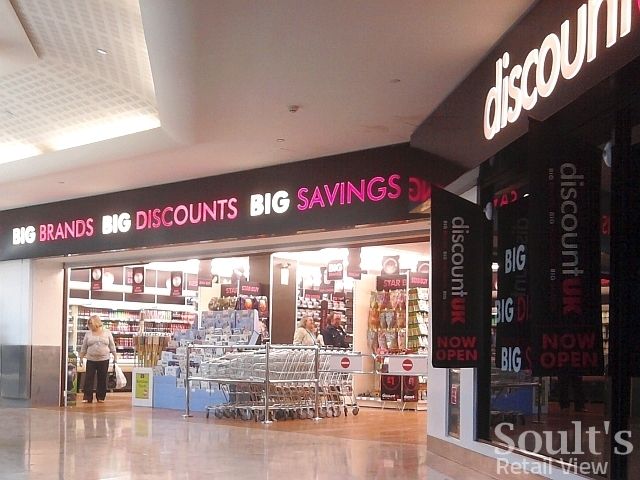 Retail Week’s article about Discount UK quotes the chain’s boss describing it as an “up-to-date Woolies, with a vibrant look and more choice and value”, and based on my visit to the Middlesbrough store it’s hard to argue with that assessment. Where Waremart was essentially camping out in a space that still looked and felt like a Woolworths, Discount UK has completely transformed it, the palette of black, white and pink giving the store a much smarter and more upmarket feel than its value competitors, such as B&M Bargains or Family Bargains (99p Stores’ own take on the multi-price format), or indeed Poundworld’s eponymous stores. 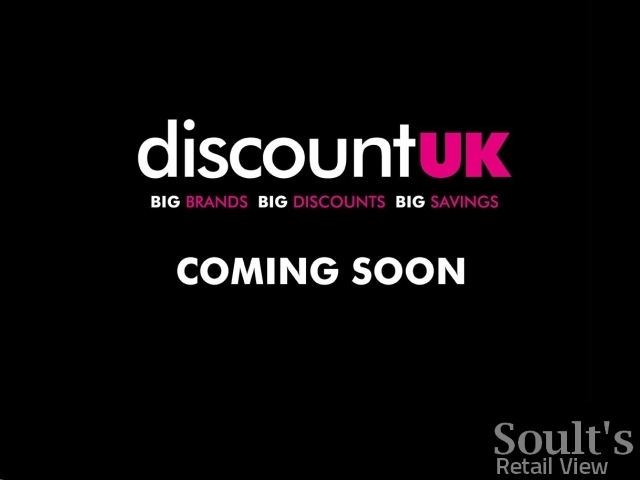 Discount UK seems like a strong addition to the Primark-anchored retail offer at Hillstreet, and was certainly busy with shoppers when I visited last Wednesday morning. 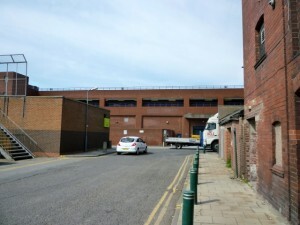 It’s also a great solution to the question of what to do with Middlesbrough’s old Woolworths, given that virtually all the other takers of large ex-Woolies sites – such as Peacocks, New Look, TK Maxx, TJ Hughes, Poundland, Next and Wilkinson – were represented in the town already. 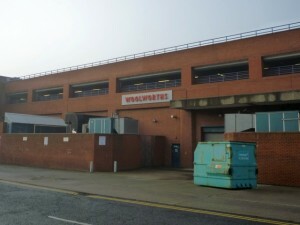 One positive side-effect of the chain’s arrival is that the Woolworths sign at the rear of the store – present throughout Waremart’s stay – has finally been taken down, reinforcing the sense that Discount UK has invested in Middlesbrough for the long term. 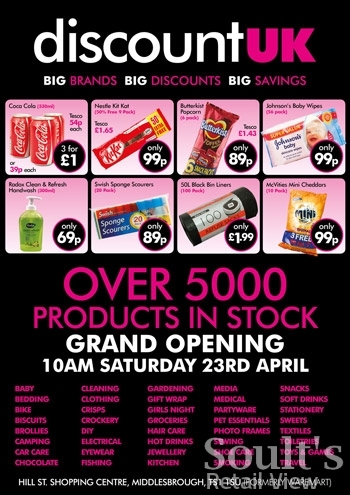 I hope the store does well, and encourages the chain to consider further North East sites. 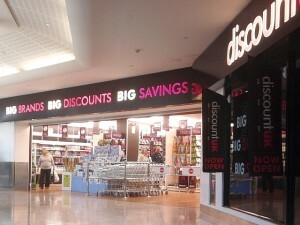 In Discount UK, it could be that we’ve finally found the perfect candidate for the still-vacant ex-Woolies in Newcastle city centre: a business whose presence would greatly improve the appearance of that part of Clayton Street, while still being a great fit with – and footfall driver for – the street’s value credentials. Thanks Jay! 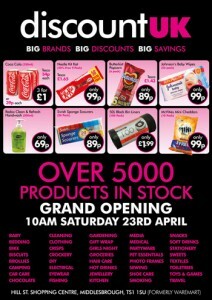 Out of interest, do you know what was in that unit before? Soult's Retail View » Has DiscountUK signed up for Newcastle’s old Clayton Street Woolies?